More book results for "importance"
PYC3705 Transformative Counselling Encounters Previous Exams Questions and Answers PYC3705 EXAM PREPARATION – Previous Exams This document is an easy to read compilation of past UNISA Exam Questions and Answers Answers are motivated by a combination of: •	Previous feedback to assignments •	Excerpts from the Study Guide •	Excerpts from the Study Notes Exams covered are: •	2018 May June – Exam Paper 2 •	2018 May June – Exam Paper 1 •	2017 Oct Nov •	2017 May June •	2016 Oct Nov •	2016 May June •	2015 Oct Nov •	2015 May June •	2014 Oct Nov •	2014 May June •	2013 Oct Nov •	2013 May June •	2012 Oct Nov •	2012 May June •	2011 Oct Nov Note that these are arranged with the most recent first, as the format and lay-out of these have changed over time (with the assumption of the most recent being the most relevant – without disregarding the importance of the older papers). Please note: This document is an additional tool for exam preparation. The Stuvia-user that compiled and uploaded this document takes no responsibility for incorrect answers. Students must ensure that they study the prescribed material and understand the content. 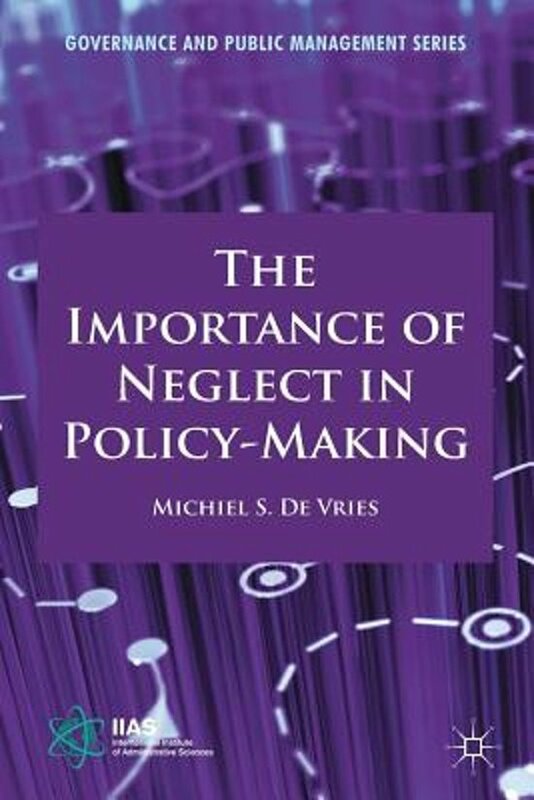 The Importance Of Neglect In Policy-Making - Michiel S. de Vries Een complete en uitgebreide samenvatting van het boek 'The Importance of Neglect in Policy-Making'. Dit boek was verplichte tentamenstof voor het vak 'Kernthema's van de Bestuurskunde' in het eerste jaar van de bachelor Bestuurskunde aan de Radboud Universiteit. Uitgebreide samenvatting Oliver, C, e.a.The importance of aetiology of intellectual disability. Learning disability: A life cycle approach to valuing people, 135-146. Uitgebreide samenvatting artikel C. Oliver e.a. The importance of aetiology of intellectual disability. Learning disability: A life cycle approach to valuing people. Dissertation/Project: The importance of Growth Hacking mind-set and the extent its value could bring to improve SME Strategic decision-making in Thailand 4.0 The importance of Growth Hacking mind-set and the extent its value could bring to improve SME Strategic decision-making in Thailand 4.0 Over the past years, Growth hacking is the buzzword that its term is still fresh and is differently interpreted worldwide. As the majority of its success mostly presents in Techworld as it assist Start-up like Facebook, Airbnb and Dropbox achieve the exponential growth in very short-period. As such, it is gaining popularity rapidly in the more innovative SME in nowadays. This study aims to explore “the importance of its mind-set” for implementing GH mind-sets into SME corporate structure, improving strategic decision to enhance its competitive advantage and sustainability. A qualitative research methodology is used to reach the research purpose and question. Results and Finding from qualitative research reconcile the SME operational efficiency enhancing strategic decision-making, dynamic capabilities and agile organisation when instilling GH mind-set into core corporate culture. The comprehensive explanation also offer insight knowledge for SME entrepreneur and manager, as well as being lesson for SME practice which paints diverse approach from start-ups and tech-enterprises. Chapter 1: Introduction Our world is continually changing and becoming more globalised, one of key drivers is “Internet of Things” (IOT) that drive “Digital transformation” (Sloman & Phelan, 2018). Many developed countries has already evolved to maintain its competitive advantage, investing more on new technology that could assist its firm to be more innovative, and reform the way of doing business by integrating with the new technology. Put it differently, digital economy has transformed the traditional boundaries of World economy, shaping the notions of how business model is structured; how firms are connected and interacted to drive greater products and services to end-users (Sloman et al., 2018). For example, “Uber, the world’s largest Taxi company, owns no vehicles. Alibaba, the most valuable retailer has no inventory”. Another example, “Airbnb, the world’s largest accommodation provider, owns no real estate” (Goodwin et al.,2015). According to Teece et al. (1997), focusing only the traditional way of doing business without utilizing the concept of “Dynamic Capabilities” is no longer assist firm to achieve sustained competitive advantage in the market . Wang and Ahmed (2007) defined “Dynamic capabilities” as the firm’s ability to integrate, build, and reconfigure internal and external competences to address rapidly changing environment. Given that “Data” is becoming essential resources that many businesses primarily invest as it provides the insightful information that businesses can reduce costs and catalyse the analytics process, enhancing possibility to transform and improve its existing business models. In this context, the convergence of IOT and Digital Transformation tend to have critical impacts on all firms that necessitates to innovatively react and adapt the right mindset to fit with the challenge of Digital economy era, shaping a greater firm’s operational efficiencies and competitive advantage. Similarly in Thailand, Thai government is trying to promote “Thailand 4.0” as a new solution for the economic expansion and economic model that aim to improve the prosperity of the country by solving the problem of the middle-income trap and drive the country to highincome range. In order to escape the middle-income trap and utilize the benefit of digital economy, Thai companies like SMEs (Small-Medium enterprise) must evolve and consider the progress in the direction of “Value-based economy” or “Innovation”, start focusing more on new technology and innovative ways of doing business. According to European Union, SME (Small-Medium sized enterprise) is a convenient term for segmenting businesses and organizations that is a legally independent company with fewer than 250 employees (Papadopoulos et al., 2015).2 This trend tends to be a great opportunities for Thailand’s Growth, but it also has knock-on effect on Thai SME, forcing them to adapt its corporate strategy to survive and maintain its competitiveness in the market. However, Thailand 4.0 could become a threat for some SMEs that are unable to transform its corporate structure to fit with the change in Thailand economy. Therefore, Thai SMEs must concern on how they can react and leverage its resources to reformulate its strategic planning and corporate structure in order to optimise these challenged opportunities in Thailand 4.0. One example of Thai firm, who has already implemented its Digital transformation strategy, leveraging the technological opportunities in Thailand 4.0, is “Siam Commercial Bank (SCB), a top Thai Bank retailer. According to Arkkrapridi (2018) SCB has achieved significant investment milestones with 60 leading venture capital funds and over “800 start-ups” in nearly 30 countries. Regarding this success, it unlocked SCB to upgrade its management and interconnected link with key startups, leading venture capital funds, fin-tech leaders around the world. Arak (2018) stated that this investment policy encompasses a significant step towards optimizing new technologies and innovation that will benefit SCB, enhancing the bank’s digital capabilities and flexible business models suited for today’s digital world (SCB ,2018). Thus, this strategic plan will transform the mind-set of country’s banking industry, improving our economy to achieve “Sustainable Growth” and enrich Thai society. 1.1 Research Background: Over 50 years, “Marketing” is an essential part, it could defined as a tool for value creation, communication and interaction with target audience, improving customer relationship in ways that maximise firm’s objective and value (Kotler et. al., 2012). In other words, it is how firm identify customer needs and then analyses to make decisions in order to satisfy those needs profitably and better than its competitors (Trustrum, 1989). According to Sukhraj (2017), in the past, Marketing focused on the traditional use of advertisement through national media channels such as radio, television and newspaper in order to reach out the new targeted customers. While in the era of Digital economy, Digital marketing throws out all the rules about marketing by using Digital channel to achieve the massive customer acquisition through available online tools such as Social media, SEO (Search Engine Optimisation) and Blogging (Biyani, 2013). Basically, Digital marketing is one type of marketing process and activities that try to promote brand, products or services and to reach customers using Digital channels (Chaffey, 2009). Its tools and channels may differ from the traditional marketing, but its objectives and mind-set stay, as Digital marketer mainly focuses more on creating brand value and customer acquisition, ignoring and overlooking the importance of user needs,3 product development process and company’s growth as top priority (Wegrowth, 2017).Due to the rapid growing of Start-up, “Start-ups is a human institution designed to create a new product or service under conditions of extreme uncertainty” (Ries, 2011). Focusing only customer acquisition and marketing process is no longer to be effective and compatible enough for growing Start-up. Therefore, the next level of Digital marketer is a person who focused on quality in the marketing strategy through product development process, utilizing the use of data for analytics tools, experiment and strategic decision-making (Bibovski, 2016). That is how Growth hacking was come in, to fulfil the gap that traditional and digital marketer do not have. Although its channels and Digital tools might be similar to Digital marketing but they are different in mind-set, objectives and goals. That is, GH conducts experiment in order to find exactly what work for you. (Agryis, 2016; Wegrowth, 2017) Sean Ellis, a successful entrepreneur and Start-up advisor, coined the term Growth hacking in 2010 as a person who are hybrid of marketers, data analyst and product developer, or a multi-tasking person who is an experiment-driven marketing that is compatible for growing business under uncertainty and support the nature of Start-up (Holiday, 2013;Argyris, 2016). According to Holiday (2013), he pointed out that Growth hacking involves the product development and marketing process that many Start-ups company can benefit from if they understand its concept of what Growth hacking process is and how to implement it. However, the corporate structure for SME and Start-up are totally different, especially in Thailand, Start-up is very new and becoming popular trend. As a result, the reason why GH techniques could not be applied to all types of business is that it does not have one set of rules that works universally for all types of products. Hence, the implementation of Growth hacking technique is not similar depending on the target audience and product characteristics. Therefore, this research project aims to explore the importance of GH mind-set and the extents of its mind-set could bring to improve SME strategic decision-making in Thailand 4.0. 1.2 Research Objective: 1) To explain the importance of GH Mind-set. 2) To explain how GH mind-set could assist SME in strategic decision-making in Thailand 4.0 Investigative question  How Growth hacking mind-set could be implemented with SME corporate structure?  What are the Growth hacking Mind-sets that support SME strategic decisionmaking in Thailand 4.0  What are limitations of applying Growth hacking mind-set with SME? 1.3 Research Aim and Value: This dissertation would briefly present on exploring the concept of Thailand 4.0 as it is becoming an essential progress of Thailand reformation. Thus, this research would mainly focuses on the GH as a mind-set and how SME could implement its mind-set and thinking in order to improve its current corporate structure, enhancing strategic planning and decisionmaking to be compatible with Digital economy era. The intersection of topics could be drawn and discussed between The emerge of Growth hacking mind-set and Strategic decisionmaking in Thailand 4.0, providing a practical advice, and enabling a better understanding for future growth of SMEs, not only just in Thailand but to compete with multinational firms. Therefore, this dissertation aims to fill this gap in literature by evaluating the research finding based on primary and secondary data. This paper will be the first milestone and significant purpose for any further study who wish to employ GH mind-set that the term itself is very new and rapidly gaining popularity in the more innovative SME in business world. Hence, this dissertation aims to answer the research question and also provide some recommendation and practical solution to utilise its thinking to gain competitive advantage in the market. Samenvatting The Importance of Neglect in policy-making Samenvatting 'The Importance of Neglect in Policy-making'. Duidelijke weergave van wat er in het boek wordt vertelt over de theorie. Geeft duidelijke voorbeelden van Nederland. Importance of Higher Education This paper is designed to address the prevalent issues of not being able to write and read. My idea is to reinforce the importance of higher education because of adverse technology guided by the question what it means to be educated? P2 M2 D2 Unit 43 - assess the importance of human and/or physical environmental conditions in explaining the development of these diseases and infections - BTEC Applied Science Extended Diploma This piece of work is to help with the P2 M2 and D2 for Unit 43 Applied Science - My teacher has signed this assignment off which means that it does meet the grading criteria. Hope it helps, all the best. Please take note that this document cannot be copied and I would appreciate if you respect my work and use it to help yourself, however, please put it in your own words rather than copy. This piece of work is for guidance purposes. MAKE SURE TO REFERENCE YOUR WORK!! This file also contains two small case studies. Meets the grading criteria: P2 - explain some of the human and physical conditions that lead to the development of diseases and infections. M2 - explain how and why these infections and diseases develop in the way that they do. D2 - assess the importance of human and/or physical environmental conditions in explaining the development of these diseases and infections. Hope this helps. Wish you all the best. No refunds. Uitgebreide samenvatting the importance of neglect in policy-making Uitgebreide samenvatting van het tweede boek dat wordt gebruikt bij het vak Kernthema\'s van de Bestuurskunde van de opleiding Bestuurskunde aan de Radboud Universiteit. Samenvatting is van alle hoofdstukken die benodigd zijn voor het maken van het tentamen.